It is 1 year since we lost my beautiful German Shepherd, whom this blog is dedicated to. She was my best friend and not a day goes by without me thinking of her and missing her terribly. Her pack leader and alpha male Morgan is still struggling on but is kept busy day-to-day with his new pack; Sarah and Chester and what a good job he is doing! However, I would love to share a picture I did using pastels which is now pride of place on my wall. I did learn a very good top tip in the making of this picture …. don’t cry when using pastels! Who knew? 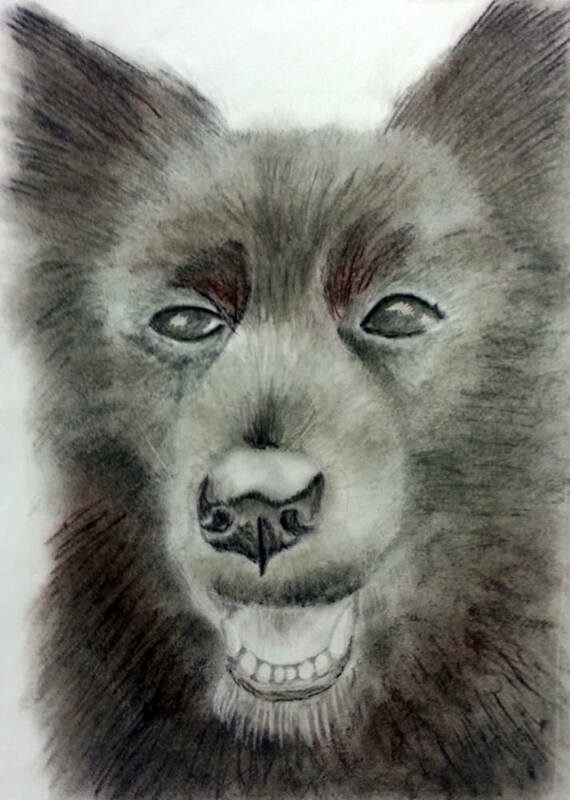 This entry was posted in Uncategorized and tagged Black German Shepherd, Pastels on July 31, 2013 by blackflowercreative. I like this card as it has a simplistic feel to it and is not overly complicated but remains interesting. 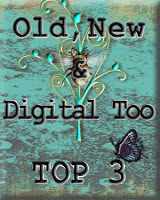 I started with the collage stamping which uses a few different stamps, including a Daisy Harlequin stamp from Chocolate Baroque and a Butterfly Wishes stamp from Hobby Art together with a flourish and text stamp from my collection. I then used a Spellbinders Label die to cut an aperture which I filled using another Spellbinders die in co-ordinating paper, which I also used for matting the whole card. 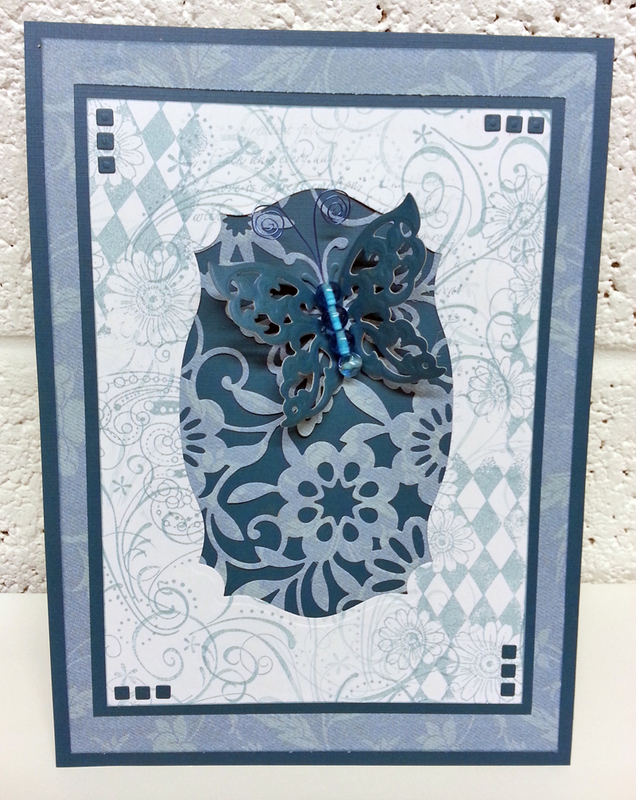 Another Spellbinder die, this time a butterfly which differs to the background piece was added together with a wire beaded body as the focal element. The last finishing touch was to add 3 squares in each corner. 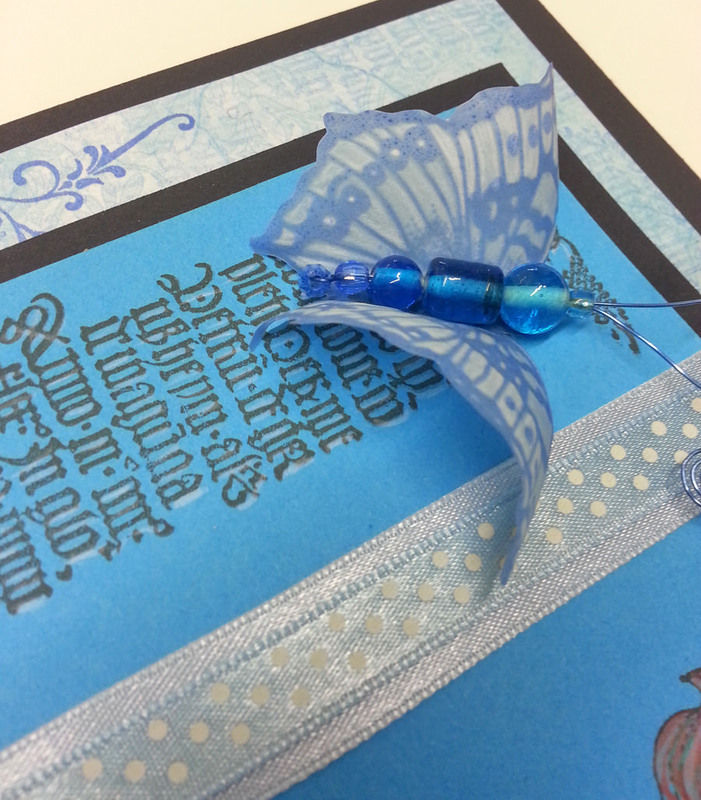 This entry was posted in Uncategorized and tagged Blue Card, butterfly, Chocolate Baroque stamps, Collage Stamping, Hobby Art stamps, spellbinders, Wire Bead Butterfly on July 29, 2013 by blackflowercreative. I would like to share this card which is quite unusual for me. I am not ordinarily one for using pink and especially bright pink, but I do love it when combined with black and grey, I think it makes for quite a dramatic look. 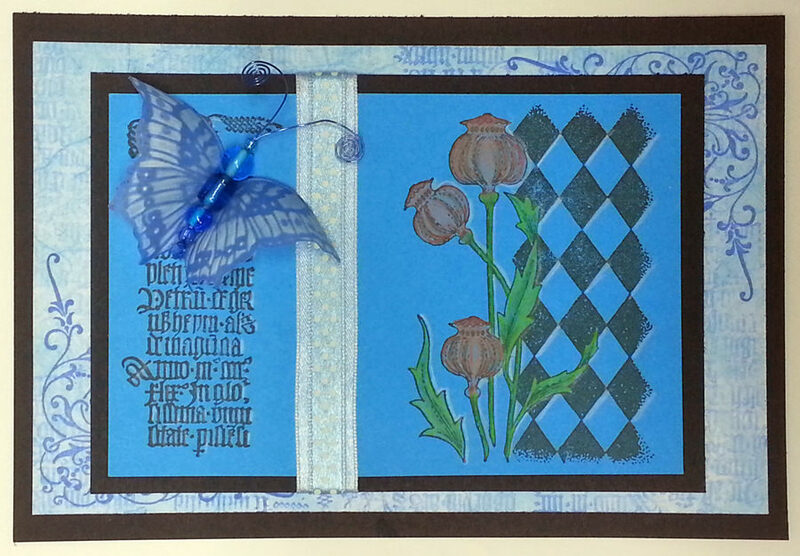 I started with the stamped panels which I used a variety of stamps, including a butterfly, flower, harlequin, flourish and a text stamp and created a background by overstamping and masking. The background was then cut into 3 equal sections and shuffled before matting on to the pink layer on the white base card. The crochet lace was made using a grey cotton thread and was made larger than the width of the card. By pinning it into shape and then ironing it with starch it becomes a much more dense piece of lace which holds it shape and now fits on the card perfectly over the stamped panels. I finished the card with an assortment of flowers which were stamped and embossed onto a piece of card I had watercoloured to co-ordinate and added some black foam flourishes using a Sizzix die for added texture and interest. 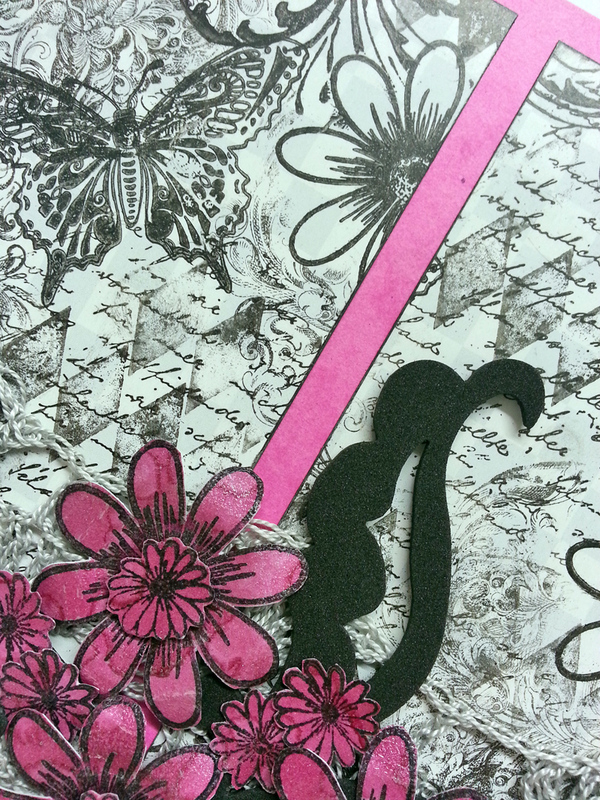 This entry was posted in Uncategorized and tagged cardmaking, Collage Stamping, Crochet, Crochet lace, Flourish, masking, Pink card, Sizzix, stamping on July 28, 2013 by blackflowercreative. 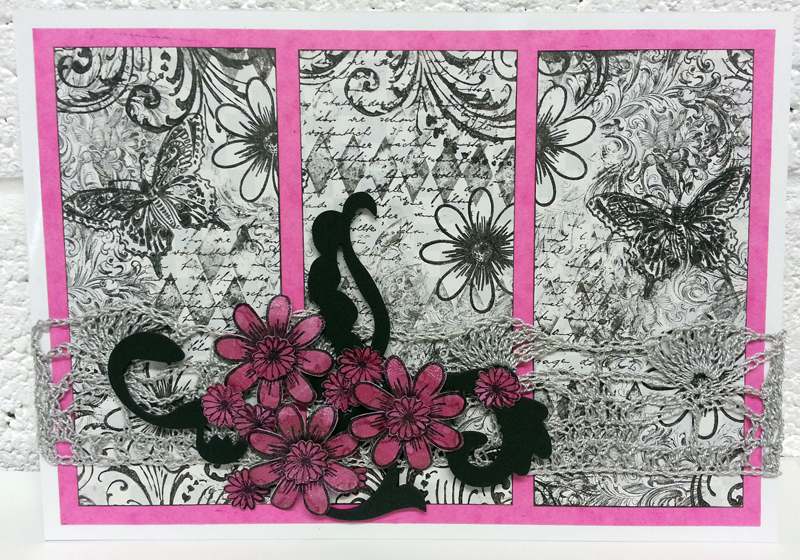 I used some lovely stamps from Chocolate Baroque in this card. 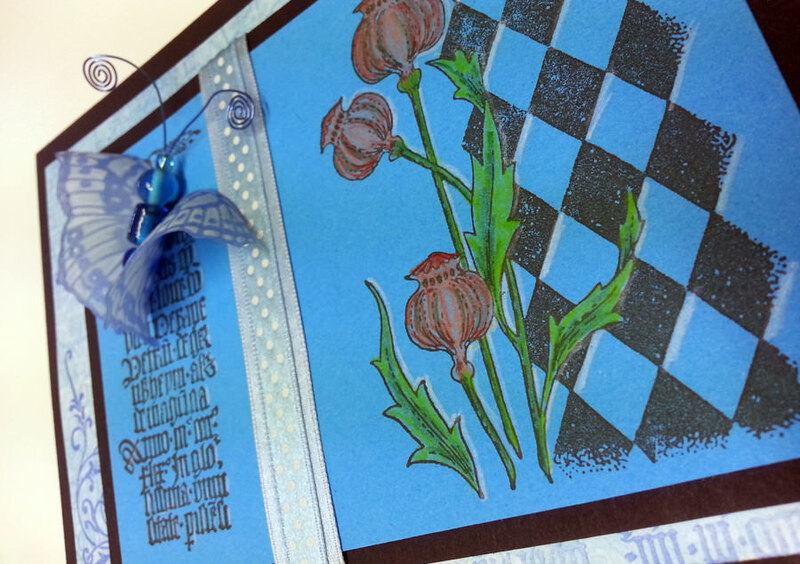 I started with the poppies and harlequin and stamped in black ink onto blue cardstock with the text stamp on the opposite side. I used watercolour pencils to colour the fabulous poppies and added a white highlight. The backing paper is also using the text stamp but in blue and using the second generation of ink. The corner stamp is using the 1st generation of the same coloured ink and is also from Chocolate Baroque. A beautiful corner which I use a LOT! The butterfly also from the same set of stamps, I stamped onto blue parchment and embossed areas to give shape and the beautiful parchment whitework. 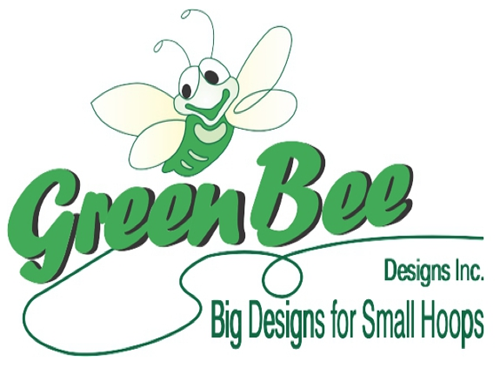 The body is simply various blue beads threaded onto wire which is then curled to form the antennae. With the addition of some ribbon and some black cardstock, the card is finished! All for now. Thanks for stopping by. 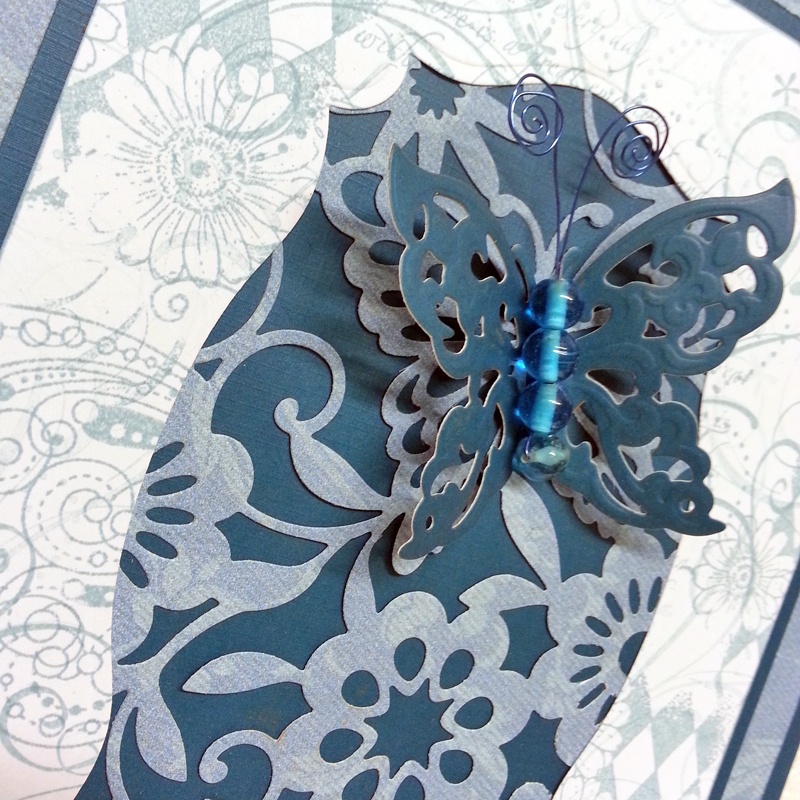 This entry was posted in Uncategorized and tagged Blue Card, butterfly, cardmaking, Chocolate Baroque, parchment, Poppy Card, stamping on July 22, 2013 by blackflowercreative. I was given the challenge by a friend to recreate a photo of her cat. Not ever having done anything to do with cats before, I was happy to have a go and reached for my trusty pastels. Not bad for a first effort! 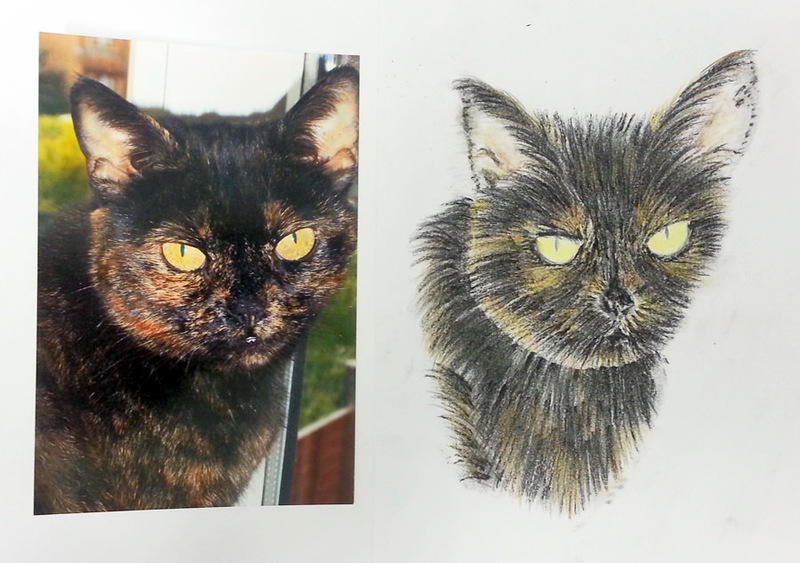 This entry was posted in Uncategorized and tagged Cat drawing, pastel drawing on July 21, 2013 by blackflowercreative. Well that was the last day of another year at school and I would like to share the gifts I made for the teachers. 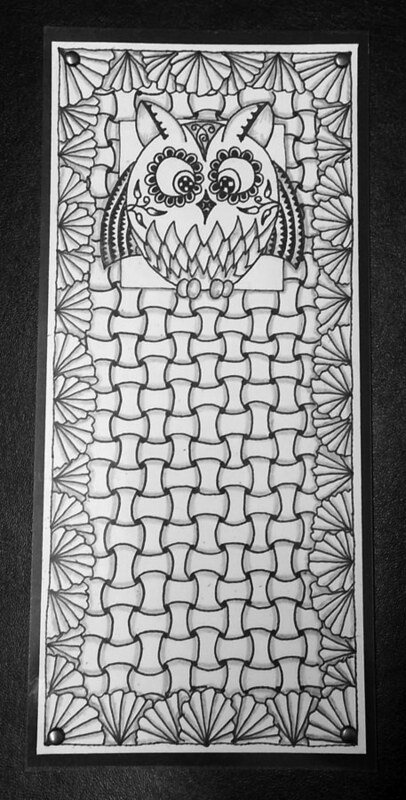 I used my Owl design to create a bookmark for a male teacher using the fabulous Zentangle technique, albeit with my own twist! I covered the drawing with an oversized piece of acetate which I attached with gunmetal brads and added the same size backing to the artwork to hide the brad fastenings. The lady teachers each got a simple Phone Charm with a fabulous hand made card made by my 9 year old made, also using Zentangle. However, I forgot to take photos of his fantastic work, but considering he got some fanatastic books for his birthday I’m sure some works of art will be produced over the Summer Holidays which I will photograph. All teachers were suitably impressed and grateful for their gifts. Another year over! 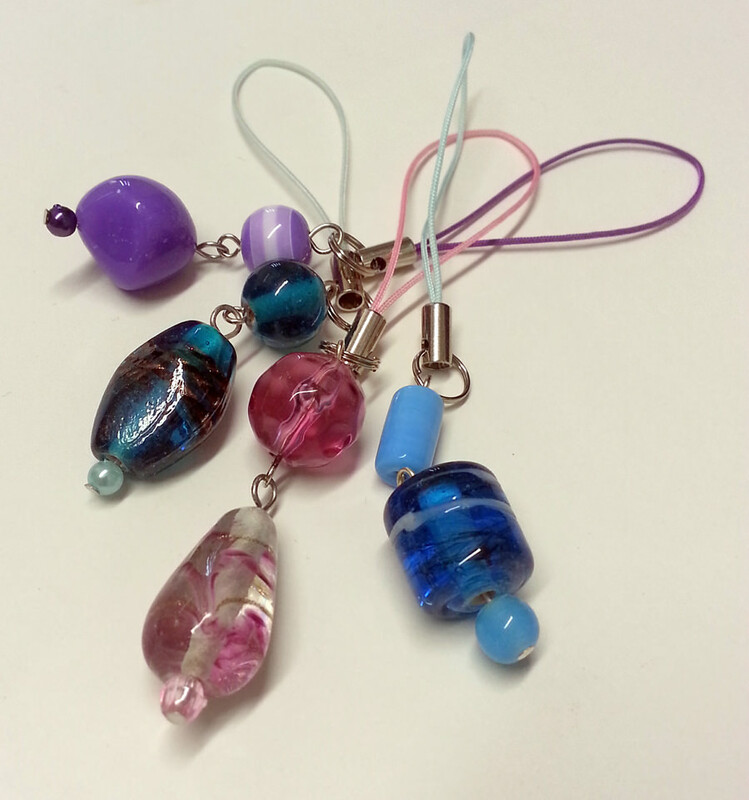 This entry was posted in Uncategorized and tagged Phone Charms, Teacher Gifts, Telephone Charms, Zentangle Owl Bookmark on July 19, 2013 by blackflowercreative. 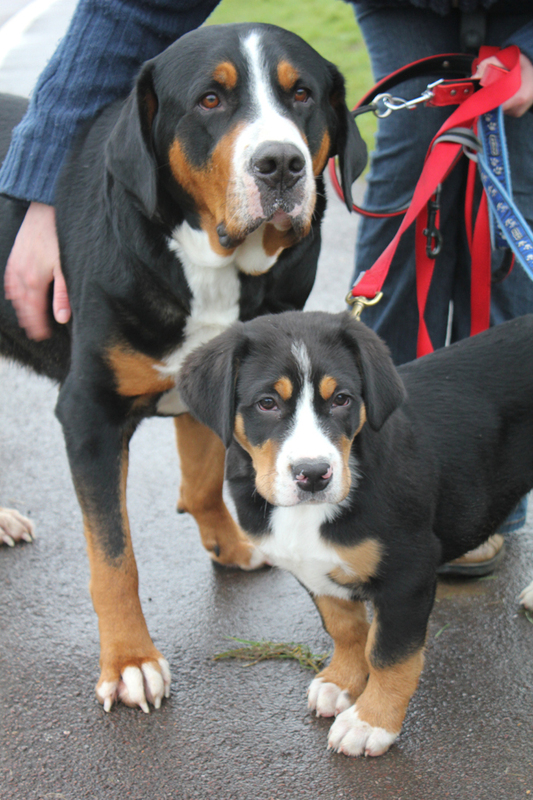 I am honoured to own this magnificent dog who we adopted only last August all the way from Germany. Sarah is the bigger one in this photo, although in reality she is now the smaller one and getting smaller everyday it would seem as the little one gets bigger and bigger. She came into our lives at the perfect moment to lift our spirits and not a day goes past without her making us laugh. She is such a character; full of fun, lazy, obstinate, greedy but loves everybody and cake! Today she celebrates her 5th birthday! 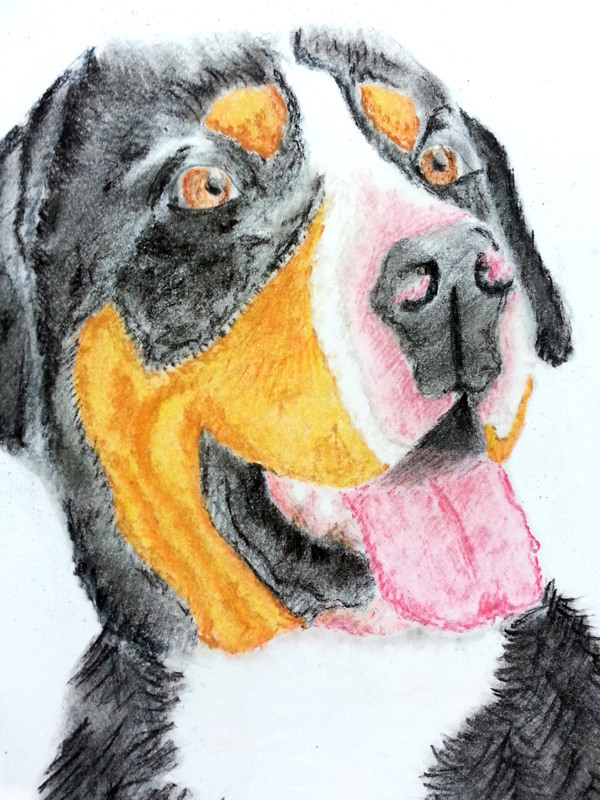 I did this picture recently of her using pastels. 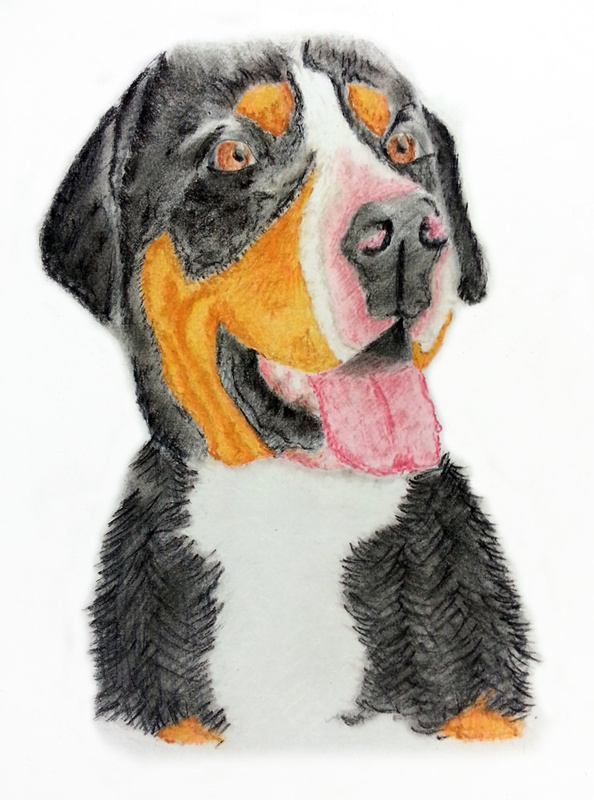 This entry was posted in Uncategorized and tagged dog drawing, Greater Swiss Mountain Dog, GSMD, pastel, sketch on July 1, 2013 by blackflowercreative.